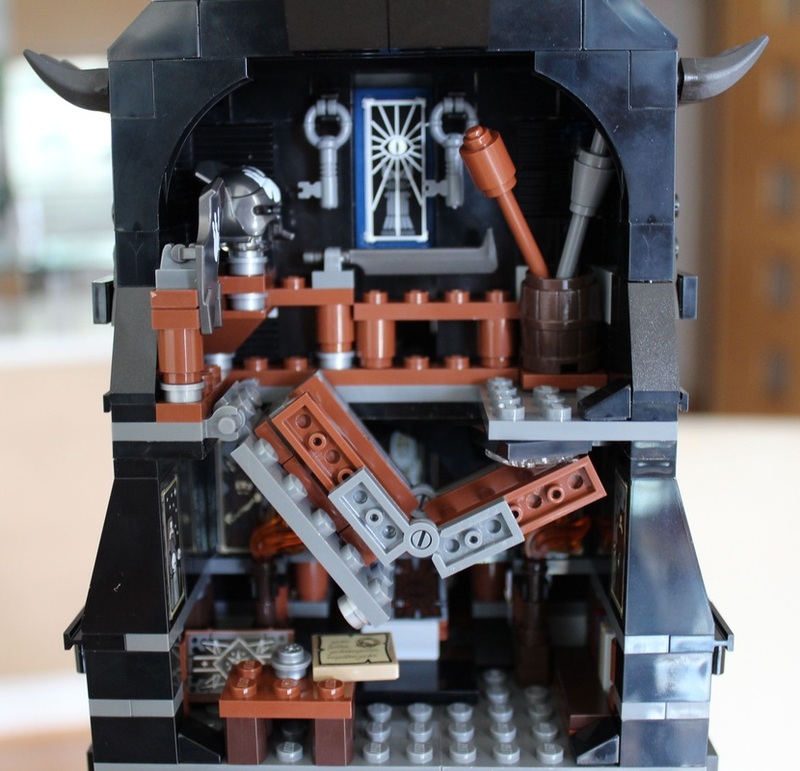 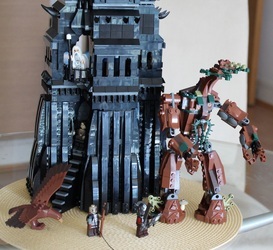 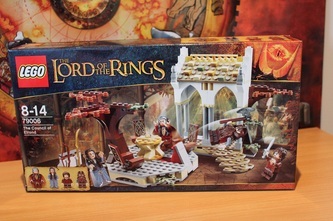 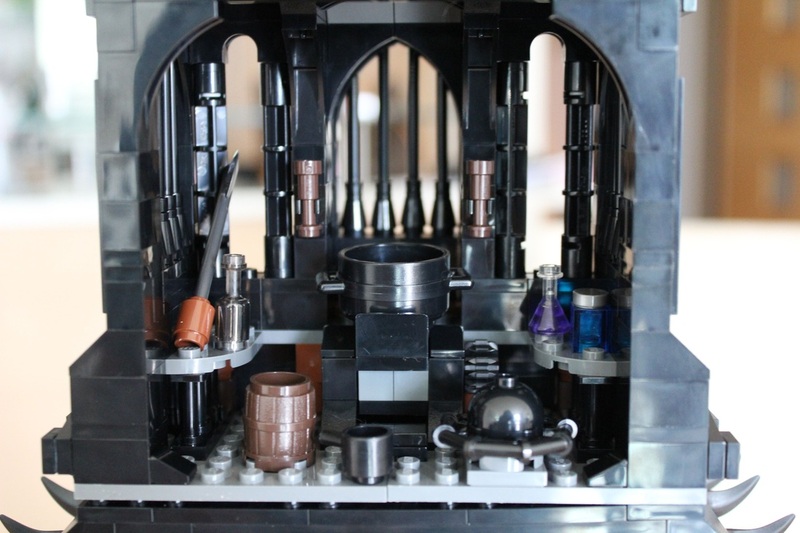 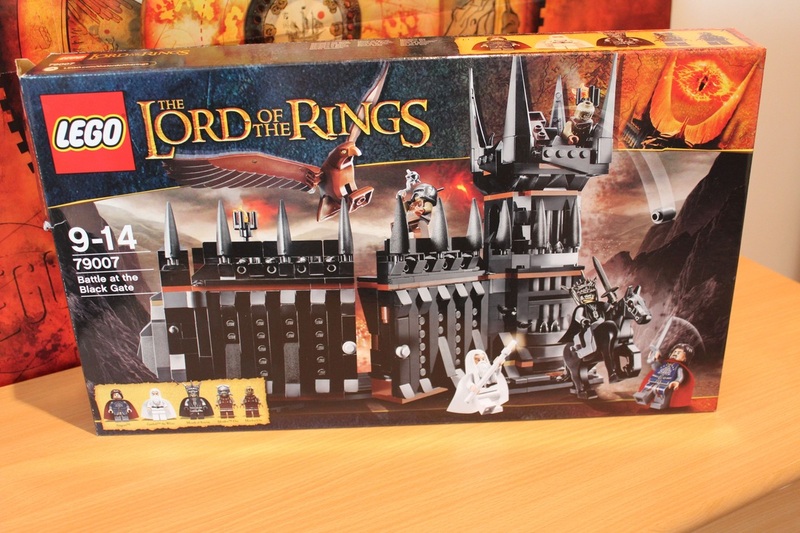 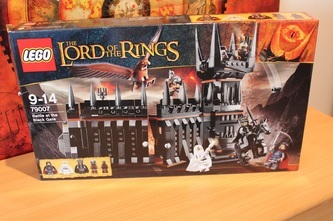 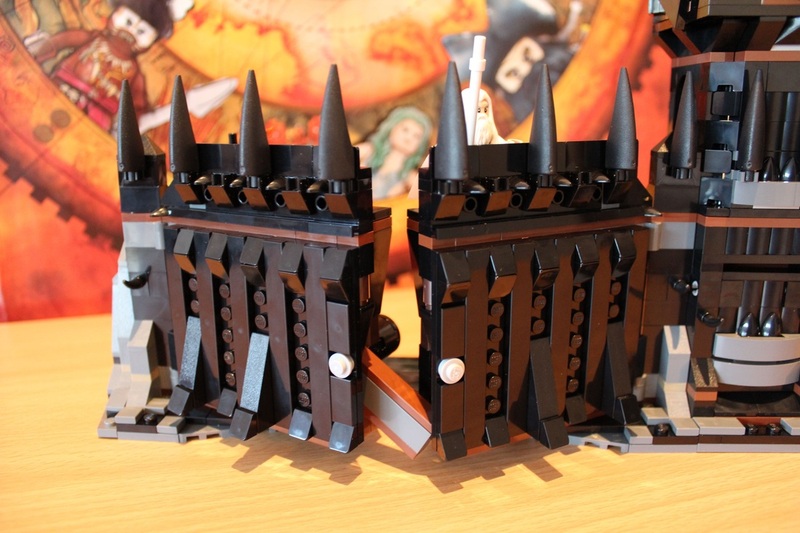 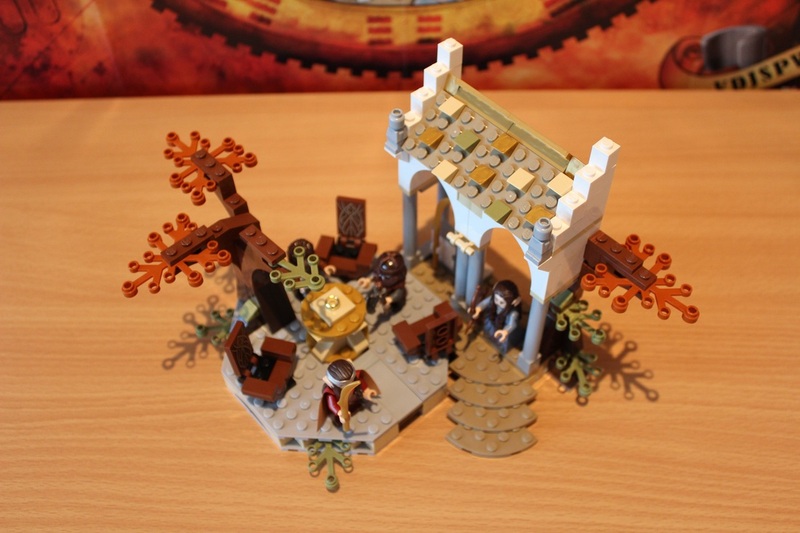 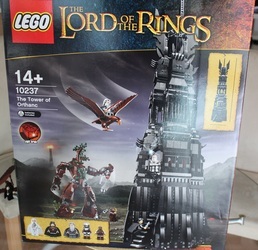 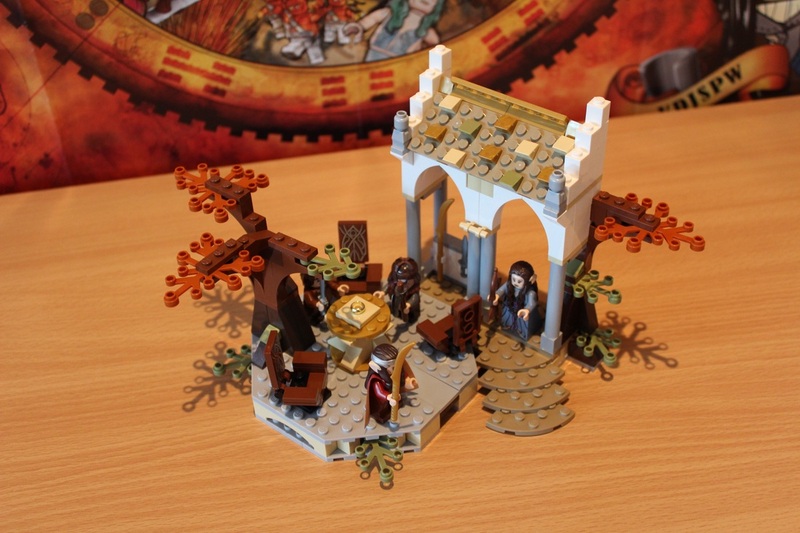 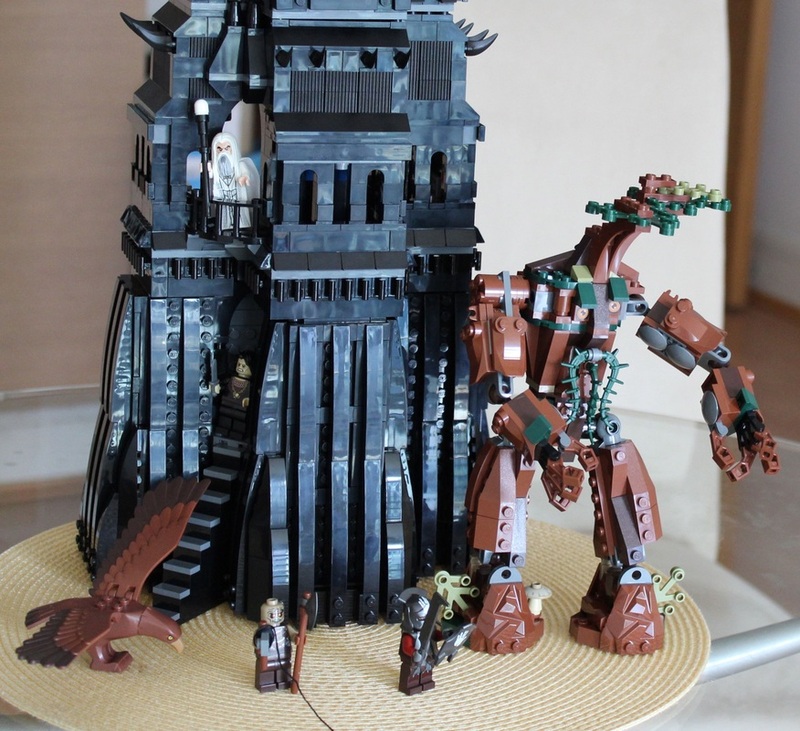 Pros: this set is THE limited edition set of the Lord Of The Rings, so it is a must to have. 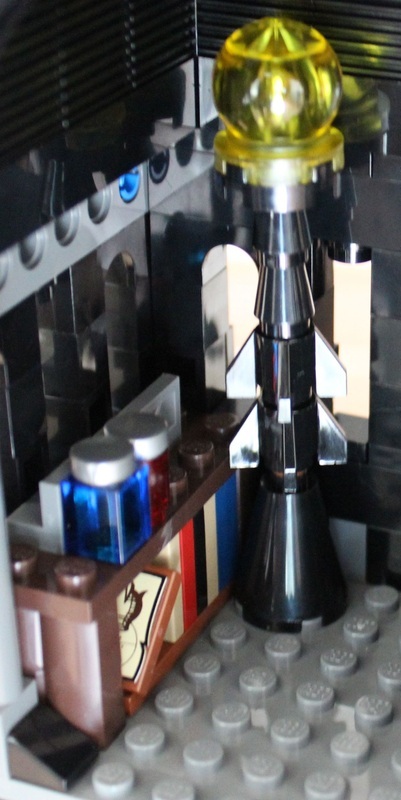 The tower is huge and with accurate details in every single part from the interior to the exterior. 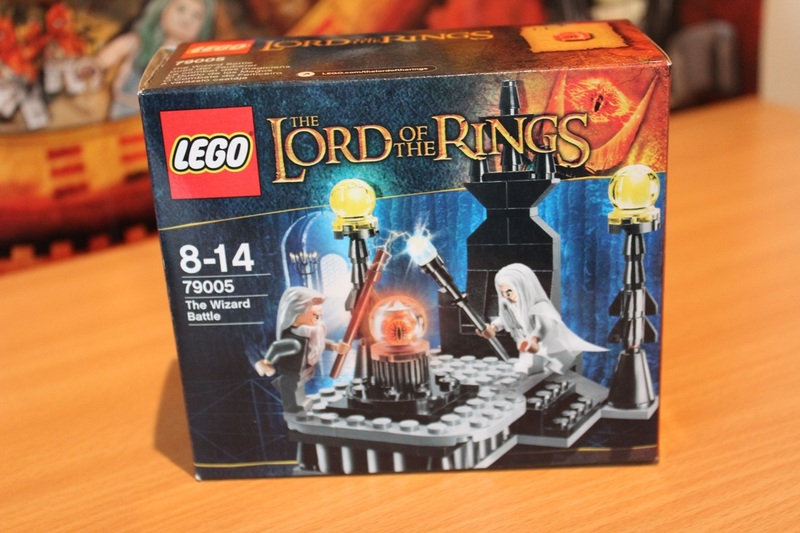 I consider it also a good investment because it will value far more once discontinued. 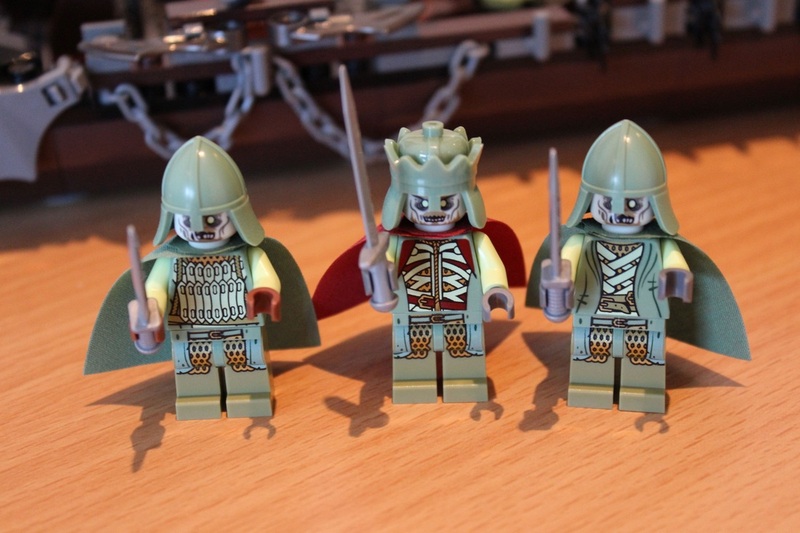 Cons: there are only five minifigs but it is only a minor issue considering the beauty of the set. This is the private home and fortress of IA, the symbol of his evil power. It is build with black rocks from the Fire Lake and is the tallest building ever seen on Altaria. 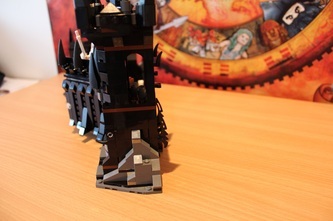 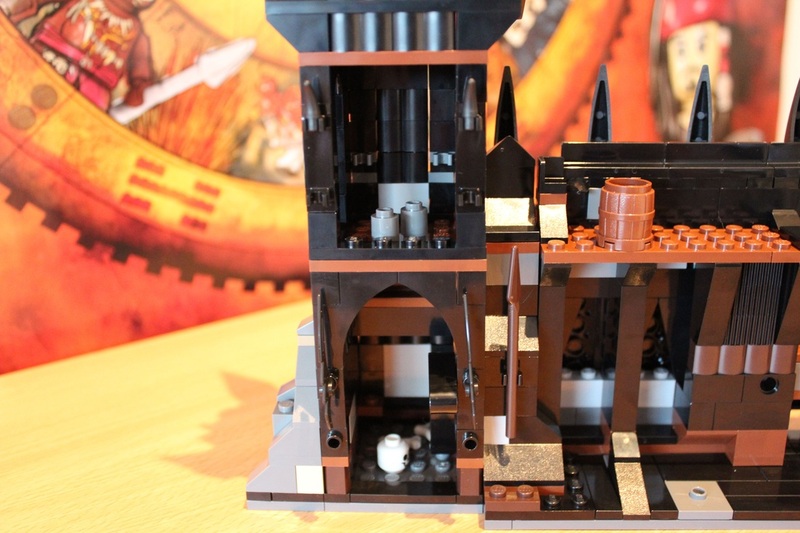 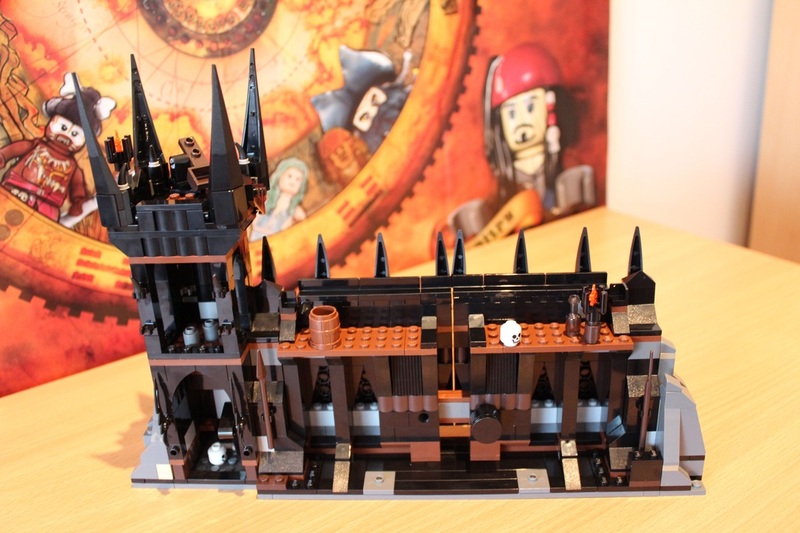 At a first look it seems that there is no entrance to this tower and in reality is pretty much like that in the sense that there is only a small black stair on the side but the black door at the end of the stairs can be opened only with the wizard staff. 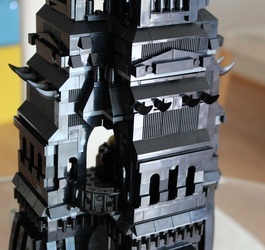 If you look at the tower from the bottom you will remained astonished simply because it seems a whole black block: the windows are very small and can barely be distinguished from outside. 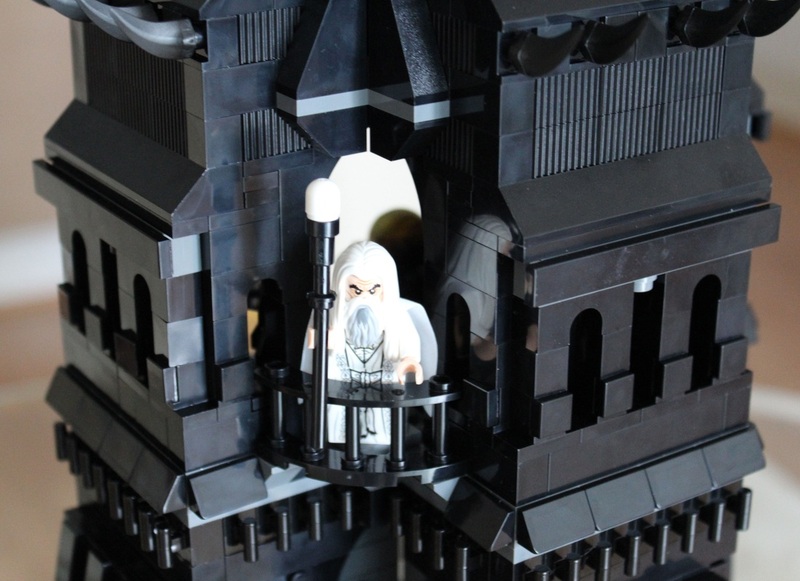 At the middle of the tower there is also a small balcony used by IA sometimes to speak to his army. 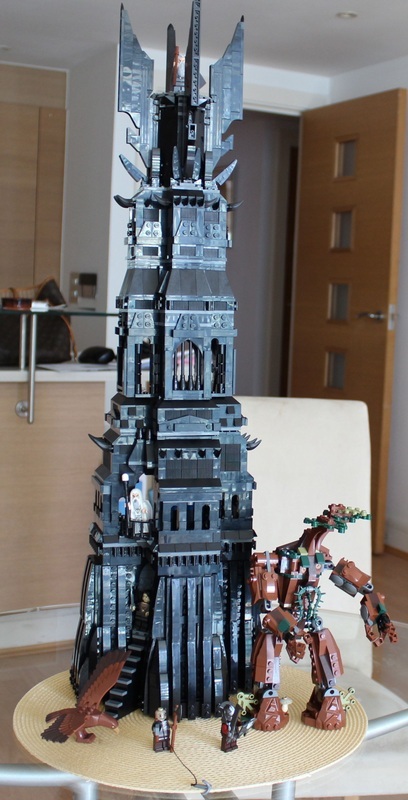 As long as you are looking up, you will notice that the diameter of the tower is becoming smaller and you will notice dreadful decoration until the very top, which has an open space with four sharp pinnacles of rock opened out like isles, where IA can cast his evil spells as well. 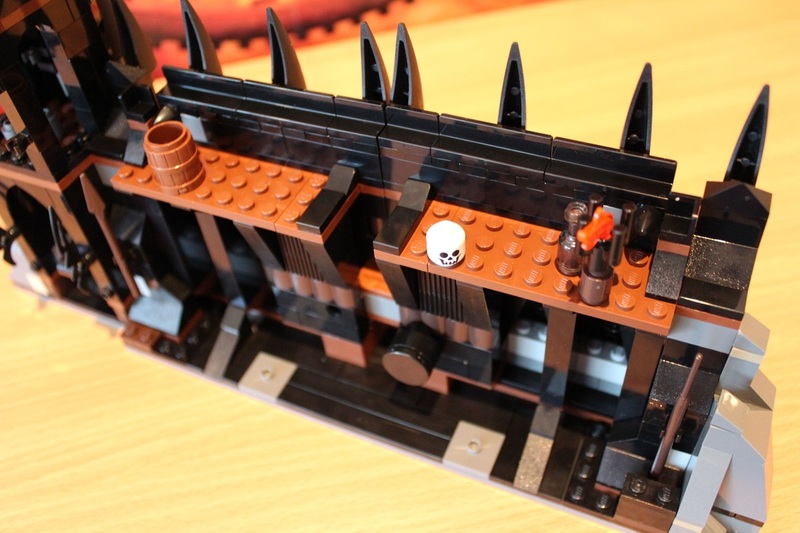 Coming to the interior and starting from the bottom you will find the prison for the enemies, full of skulls and bones (IA does not make prisoners, he brings them into the prison and leaves them there until they die). 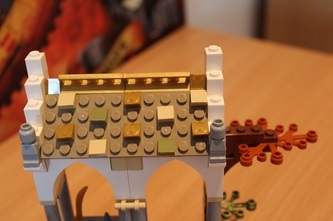 The next floor is the entrance of the tower, which is an empty big saloon with a floor trap leading directly to the prison. The third floor instead is the main one with the throne of the wizard, the above mentioned balcony and a second less powerful Orb, used by IA (as legend tell) to talk with the Though itself. Going up we find a floor completely dedicated to the art of alchemy, while the next floor is the library full of spell books as well as with the portraits of the Spirits of Altaria, sons of the Thought. 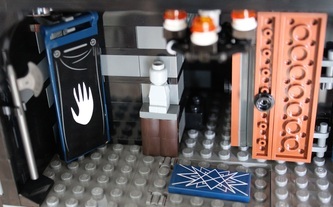 The very last floor is a accessible only through a secret stair and contains magic weapons but, most important, two magic keys that nobody know really what they open and where do they come from. 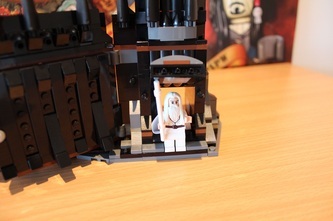 IA: we already talked a lot about the Spirit of the Wind and his story so we refer to other section of this website where you can find detailed information about him. What we do not know is that his human form is that of a white man with white hair and a white bear. 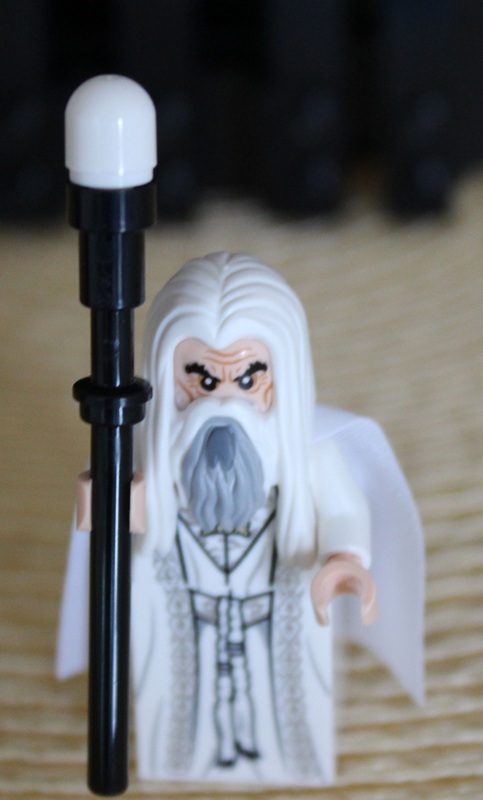 This is in contrast with his long black staff, made of the same stone of the tower: this staff has a white gem on the top, which has the power of controlling the mind of the enemies. 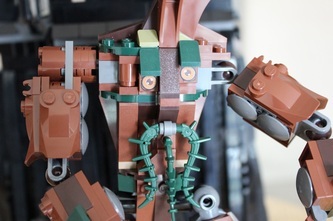 SERVALO: he is the loyal servant of IA. He is a human and once was a wizard apprentice who was expelled by the school of the magicians but, since he was eager to learn the evil magic, went in the North until he met AI and accepted to serve him for the rest of his life. 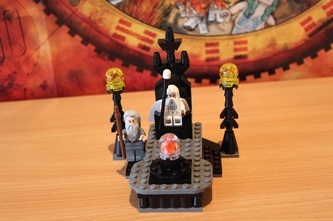 He is in charge also to the tower when the Master is not there as well as assisting him in preparing some complex spells. 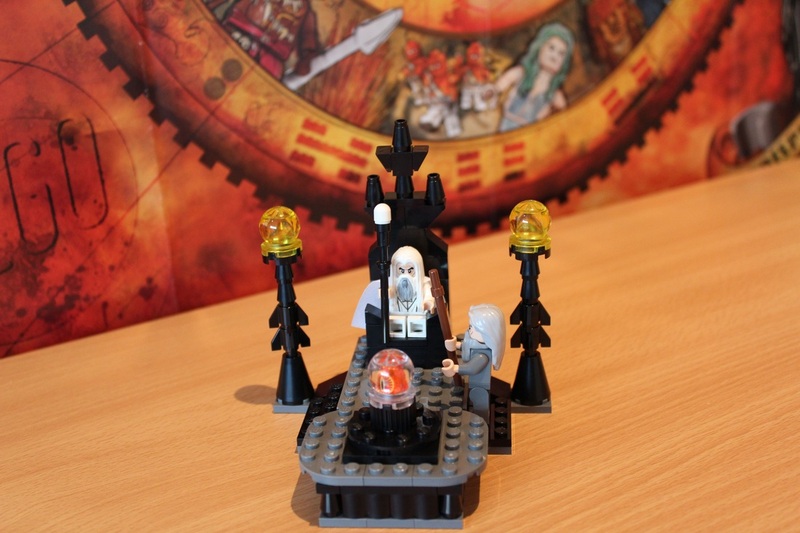 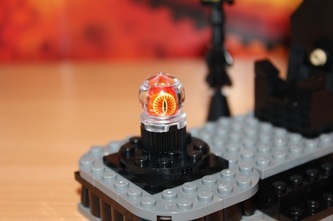 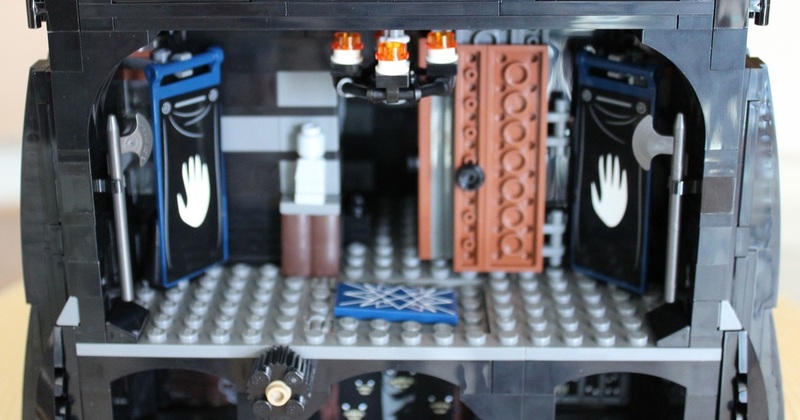 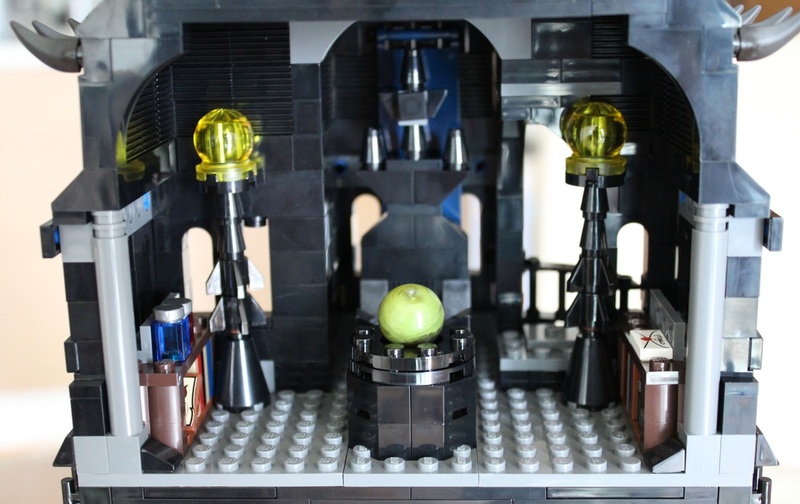 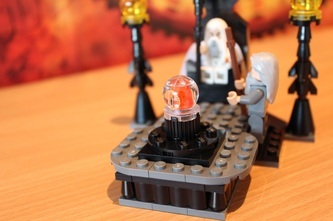 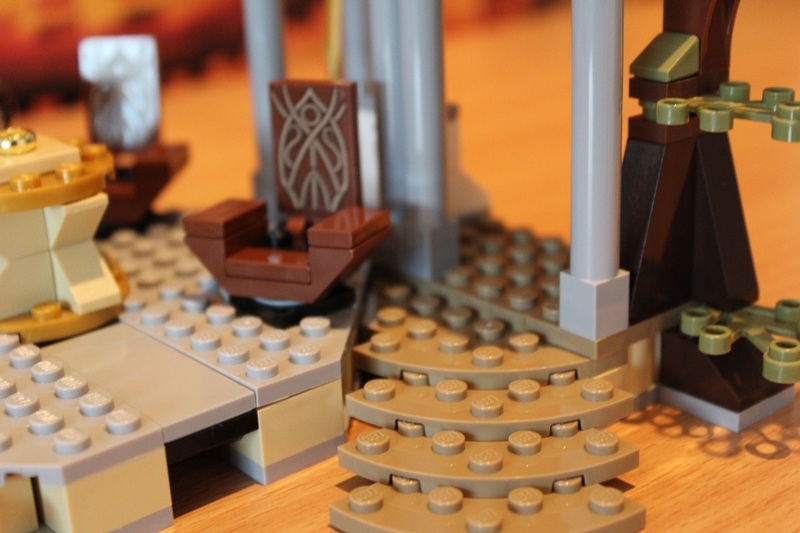 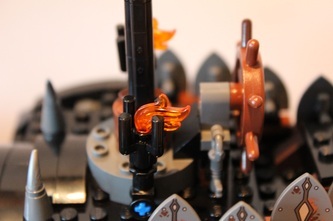 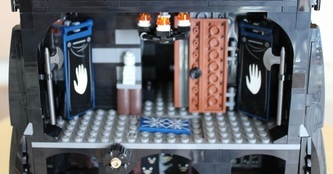 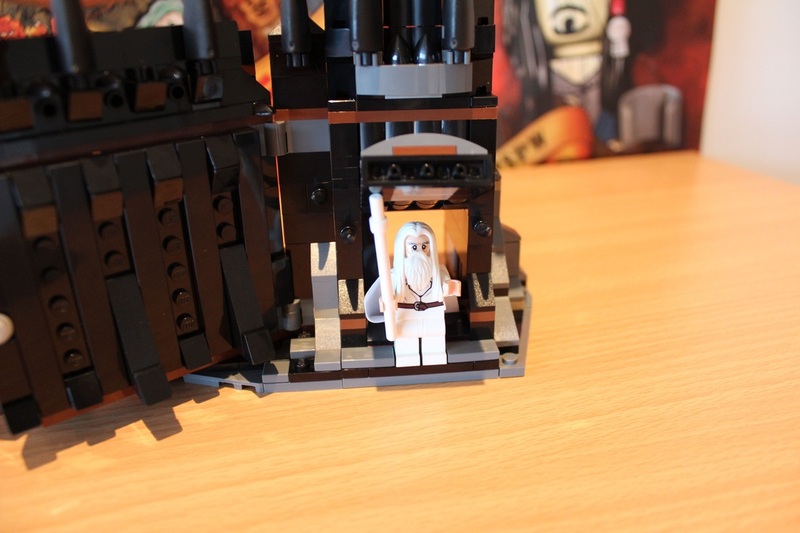 Pros: the lightning orb is nice and also the minifig of Saruman is one of the best in the sets. 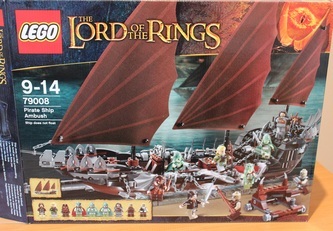 Cons: it is a set designed with kids in mind. 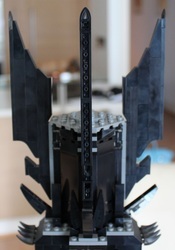 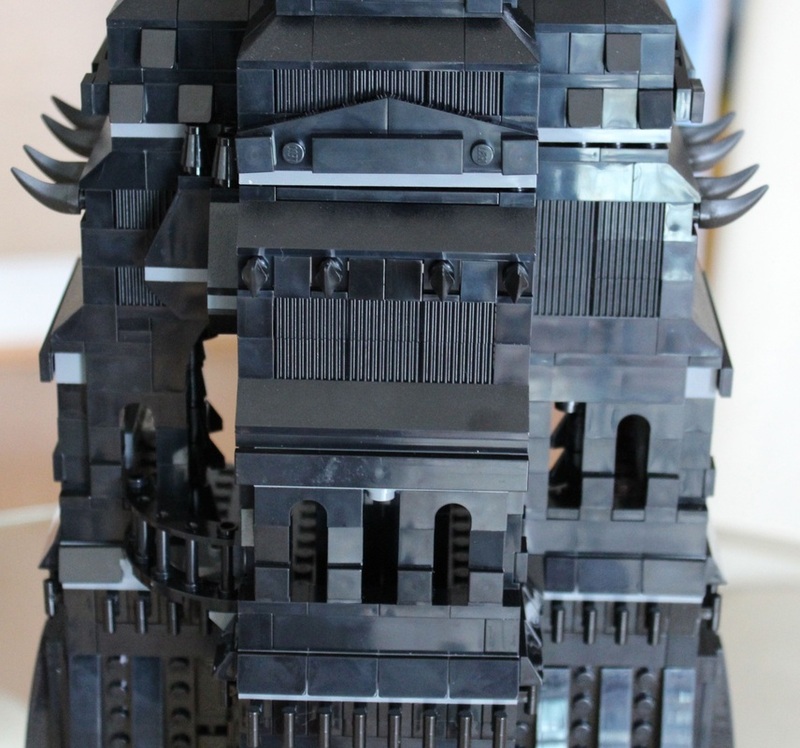 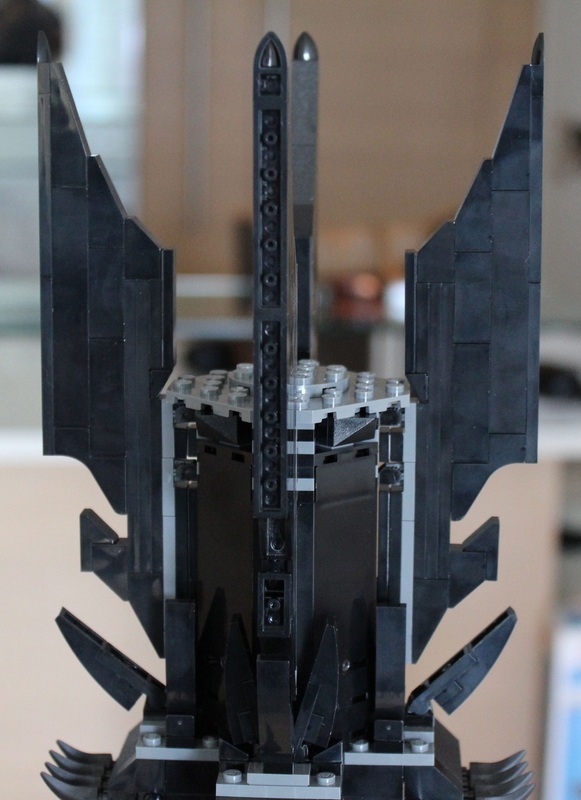 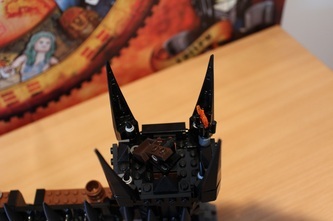 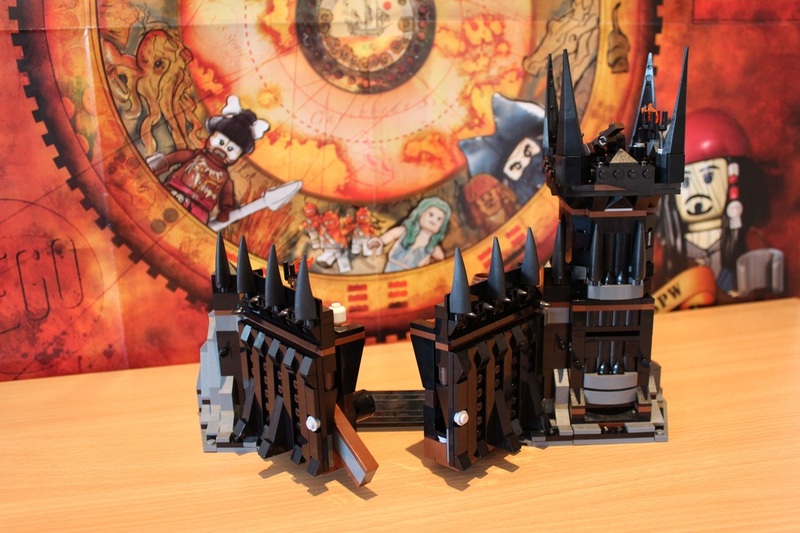 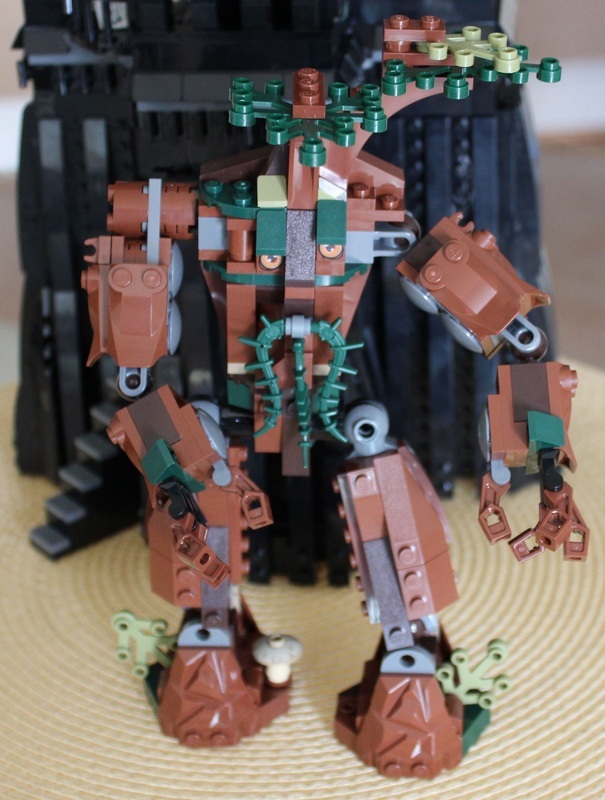 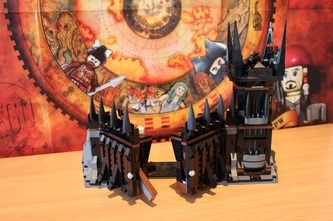 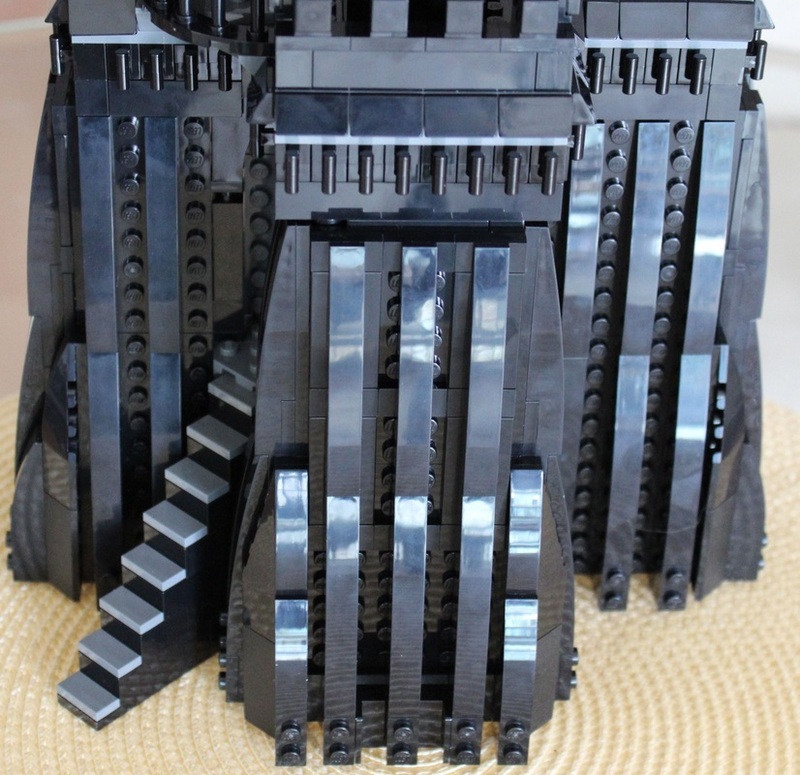 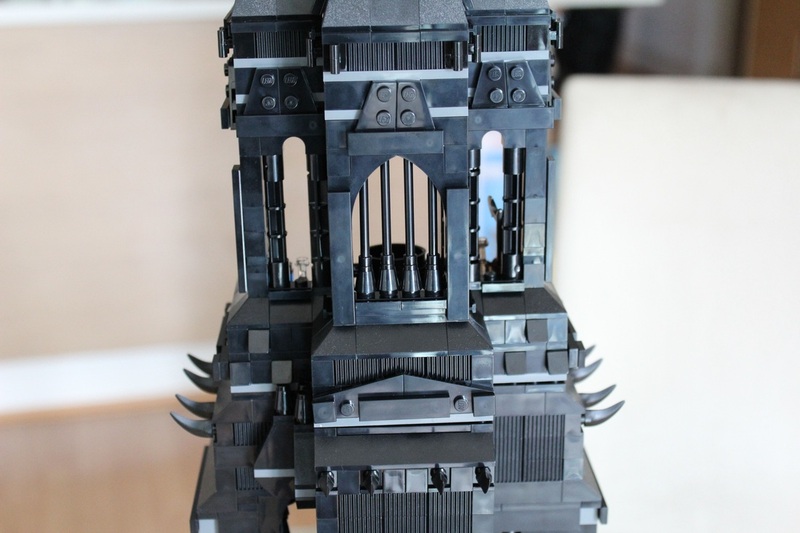 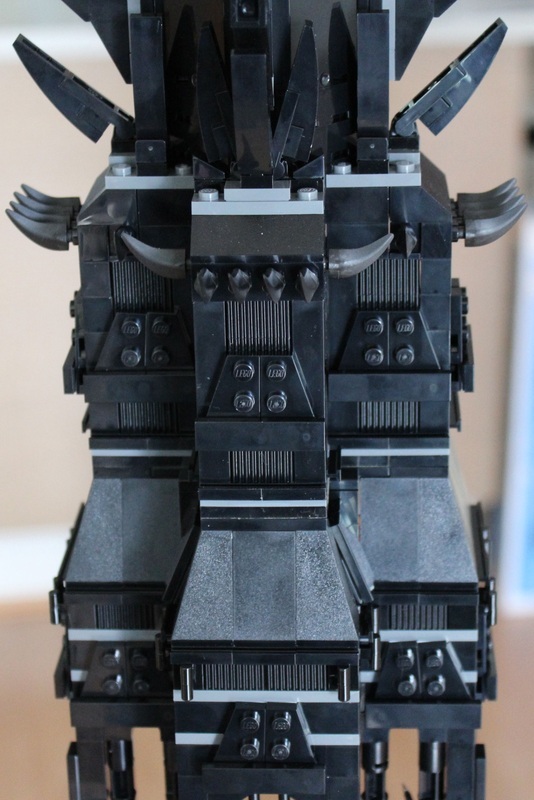 It is very easy to build and also the throne is not particularly accurate. When the evil spirit of the Air is closed within his tower, he cannot cast his most powerful spells nor speaking to his army. 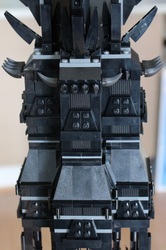 It is for this reason that he built an open space where he put a black throne made of stone. 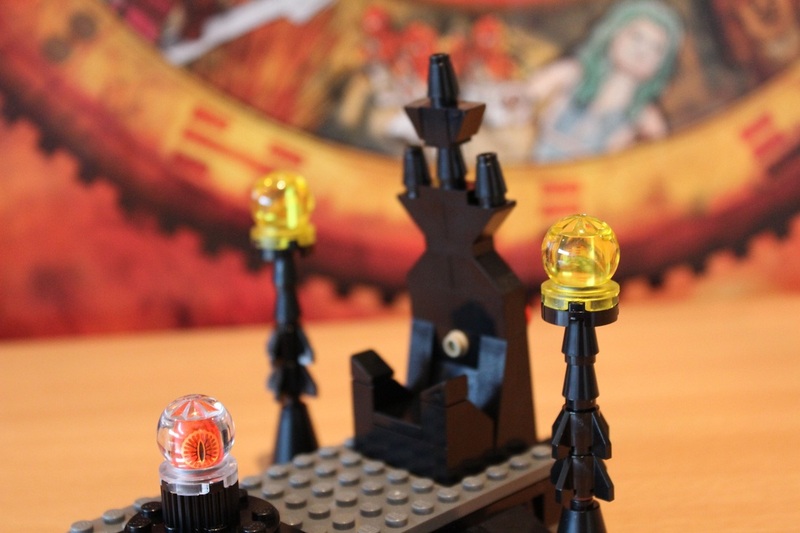 There are two lighting magical torches on the sides of the throne and in frond of it the Orb. The Orb is a magical sphere from which Ai can see what happens to his army and decide which spells is better to cast during the battles. 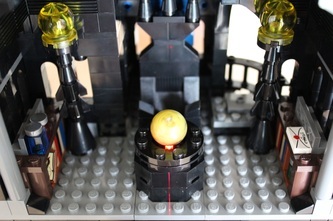 With the Orb, IA can also talk directly with his generals and give orders. 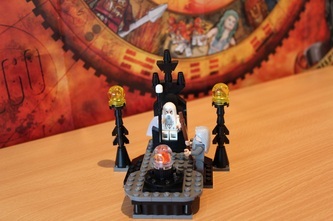 It is told that the throne itself is protected by evil spells in order to avoid anybody sitting in the place of IA and using the Orb. 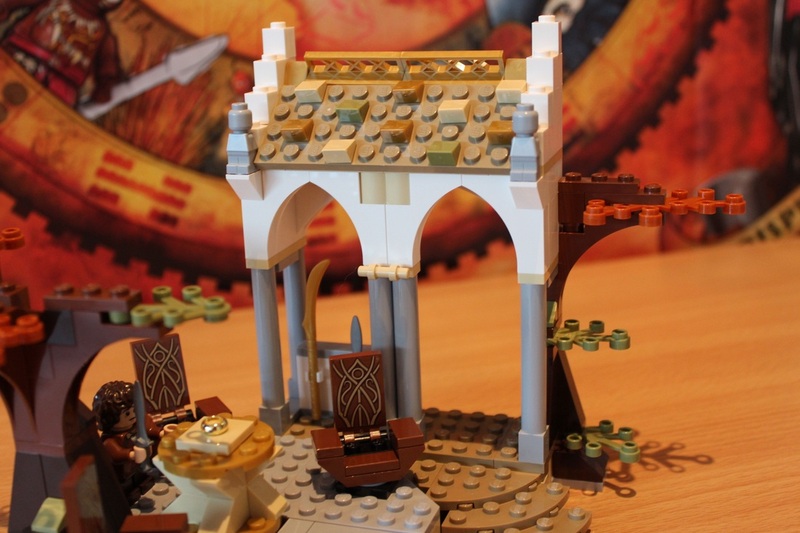 Pros: I loved the color choices (especially in the leaves of the trees and in the roof), as well as the chairs of the council that are nicely built. 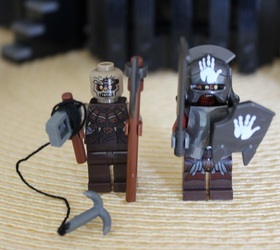 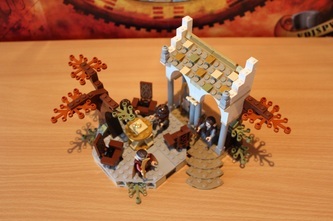 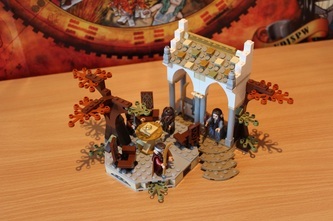 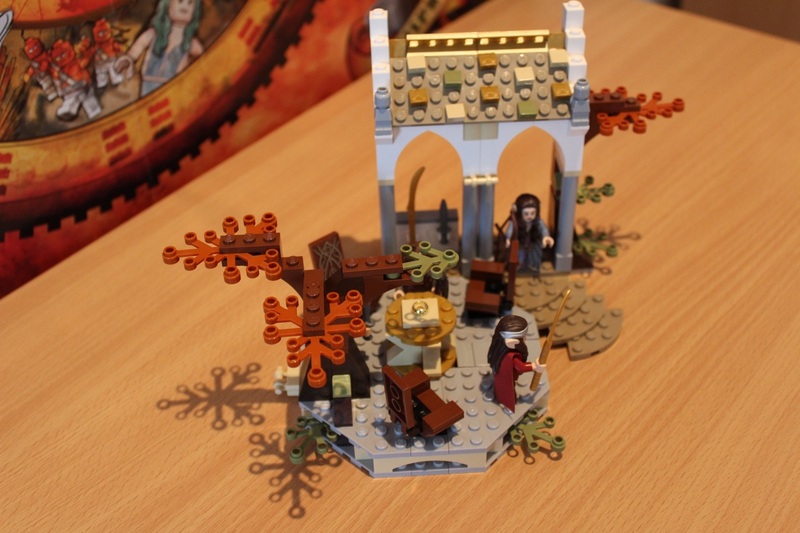 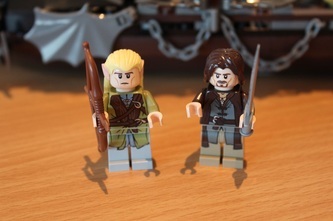 The Elrond and Arwen minifigs are also unique to this set. Cons: it is a scene set and not the palace of Elrond set but I expected more. 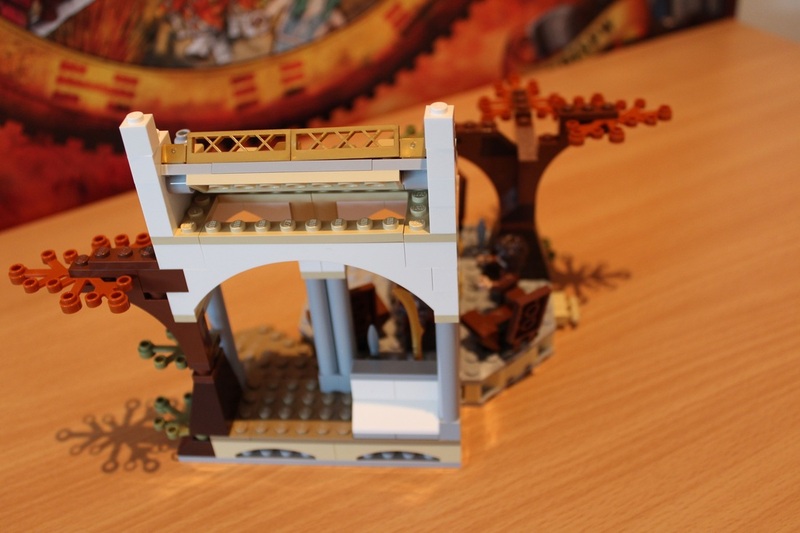 Some details are not so accurate and moreover the overall set has not complete harmony and seems more a collection of separate pieces. 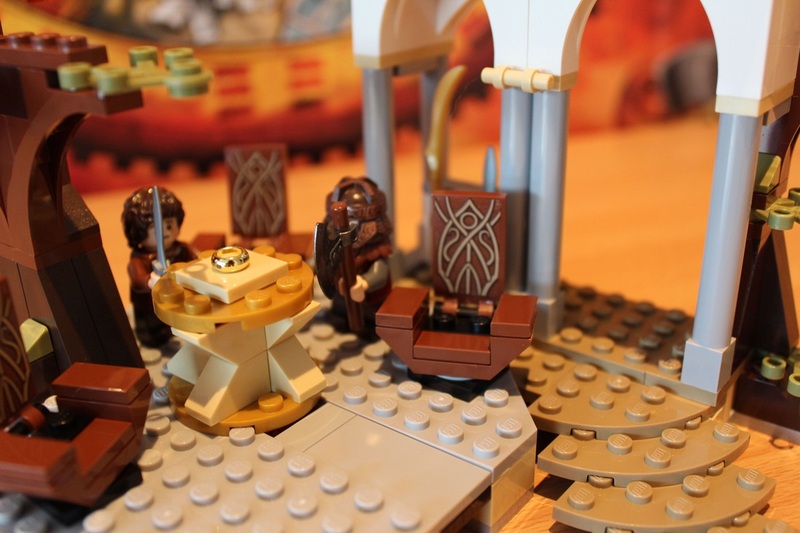 During the war of the Races, this place was used by the lords of each race to meet and decide the war strategy. 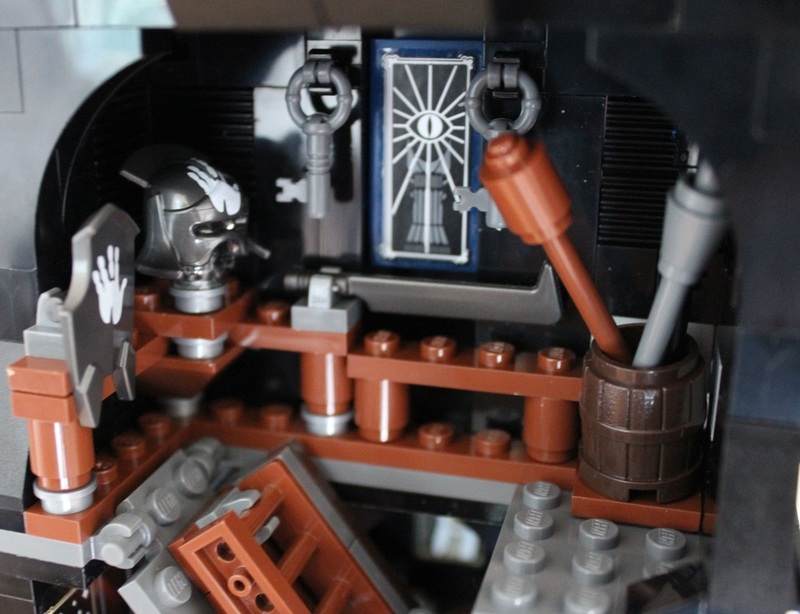 The road to get there is very narrow and hidden and moreover it is located in the middle of a dark forest just below the mountains. 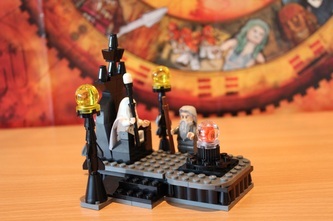 To avoid IA using his Orb to spy the meetings, the place is casted with protective spells and only the lord of the races can access. There is a round gold table in the middle with well-decorated wood thrones all around. 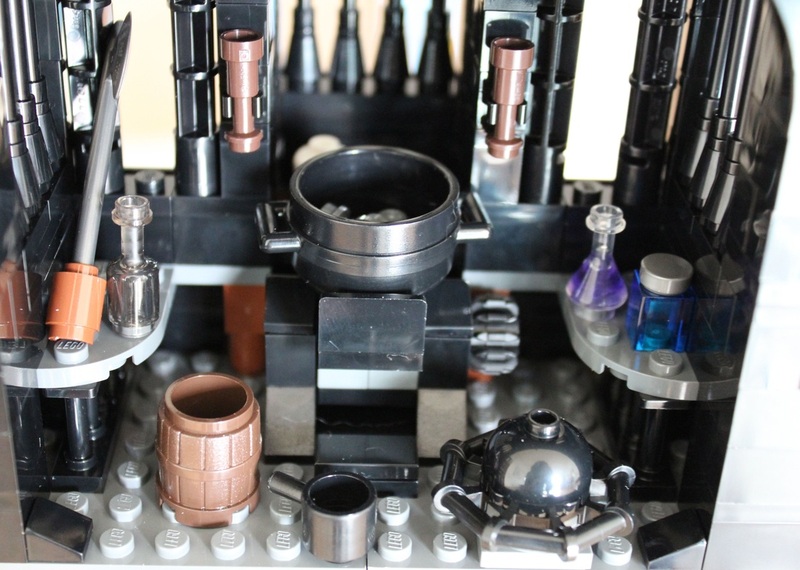 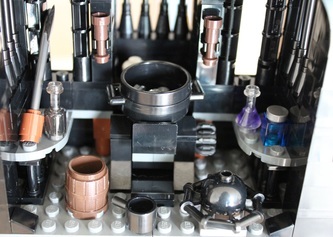 Near the meeting table we can find the apartments of the two custodians as well as an armory with dedicated magic weapons. 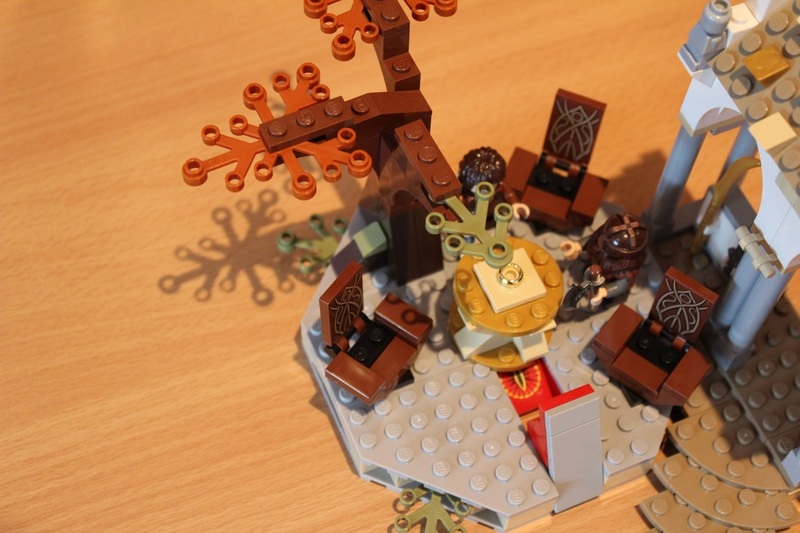 Last but not least this place is famous for its beautiful gardens and trees that transforms this place in a kind of paradise. 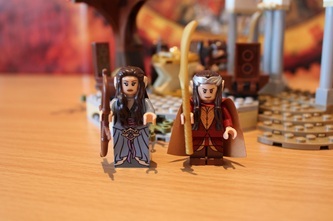 MR and MRS FLOWER: a lovely couple of elves custodians of the Resistance Council. They lived in the forest all the year and their tasks involve preparing the council meetings as well as keeping the garden and assuring the safety of the place. 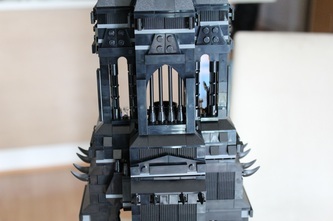 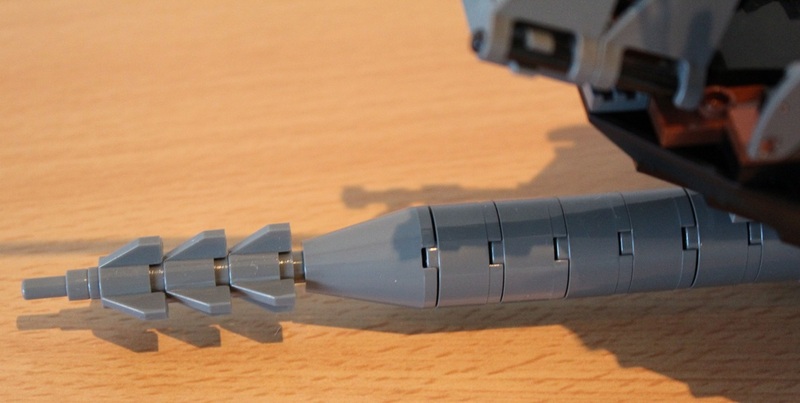 Pros: it is nicely built and with a good choice of colors (black and dark grey). 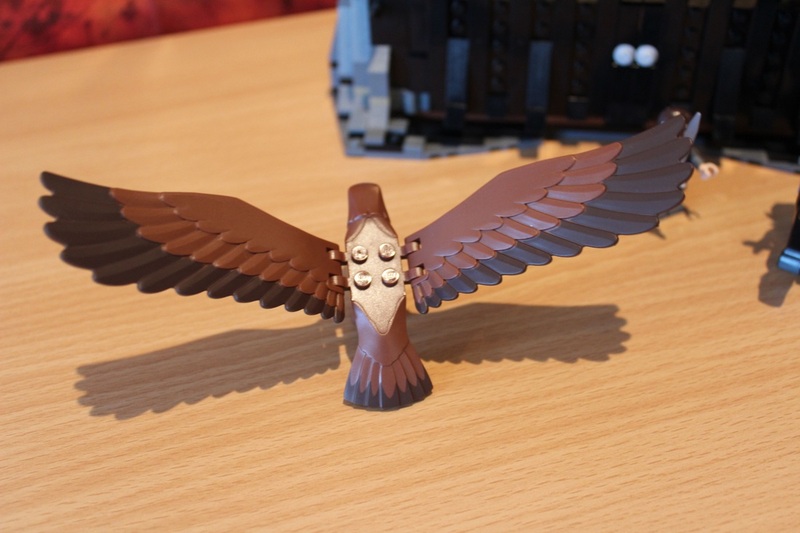 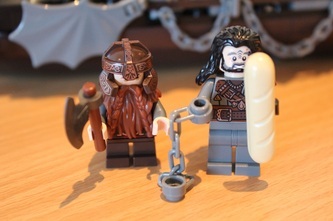 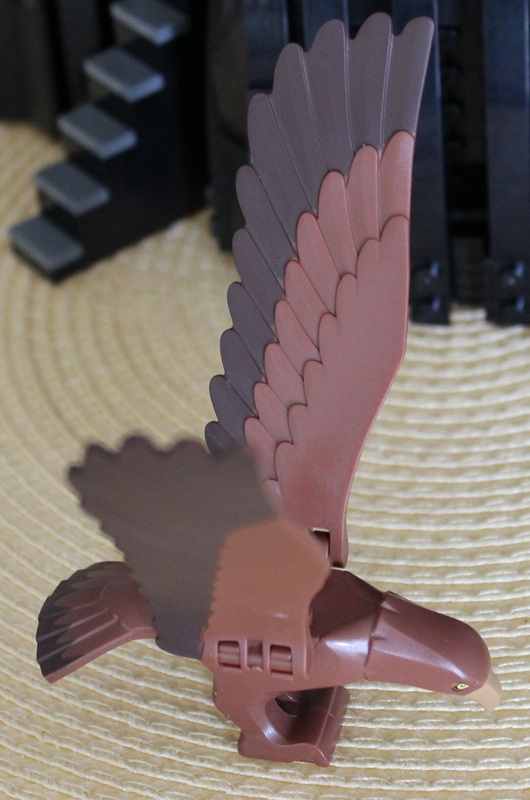 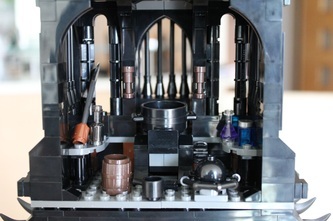 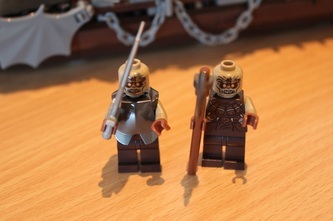 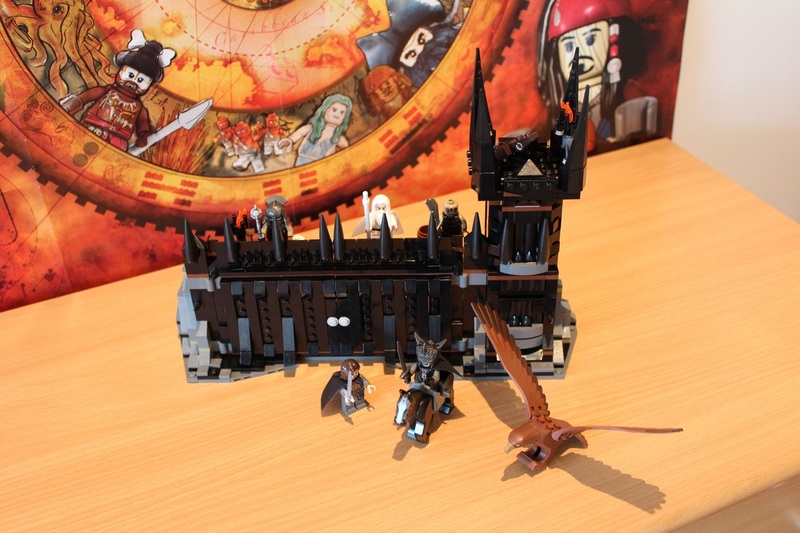 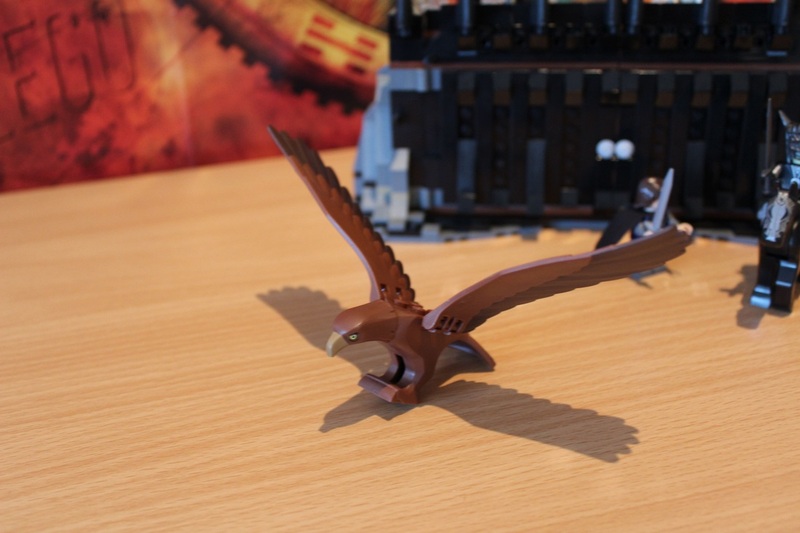 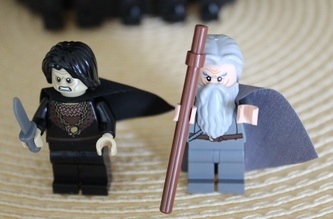 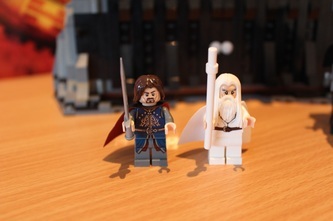 The minifigs of Aragorn, Gandalf the White and the King of the Nazgul as well as the eagle are a plus. 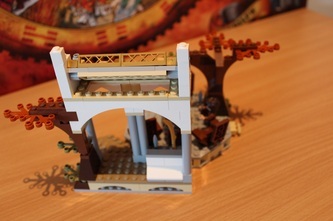 Cons: maybe the gate itself could have been a little wider. 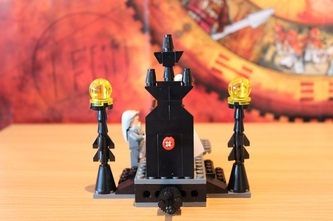 Although the tower of IA is protected by the most powerful spells, the evil spirit of the Air was bothered by the idea of seeing the army of the races in front of his tower. 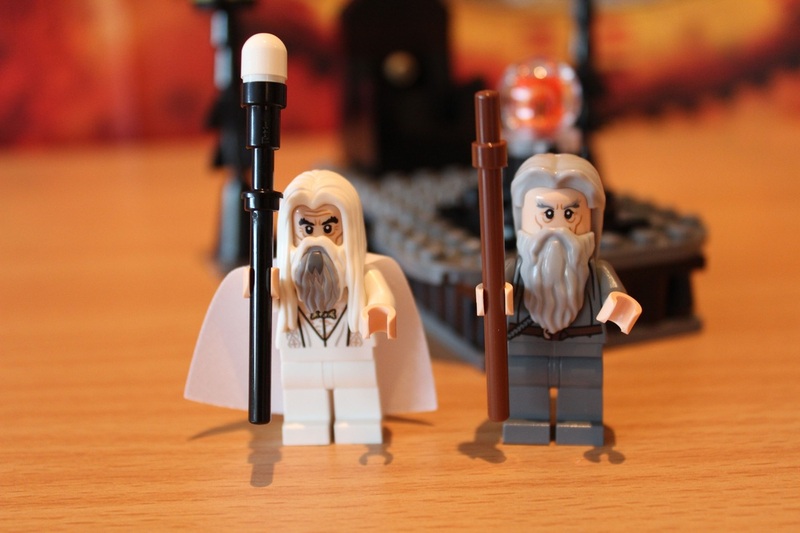 Moreover he did not want spies or other single creatures to come and visit his territories. 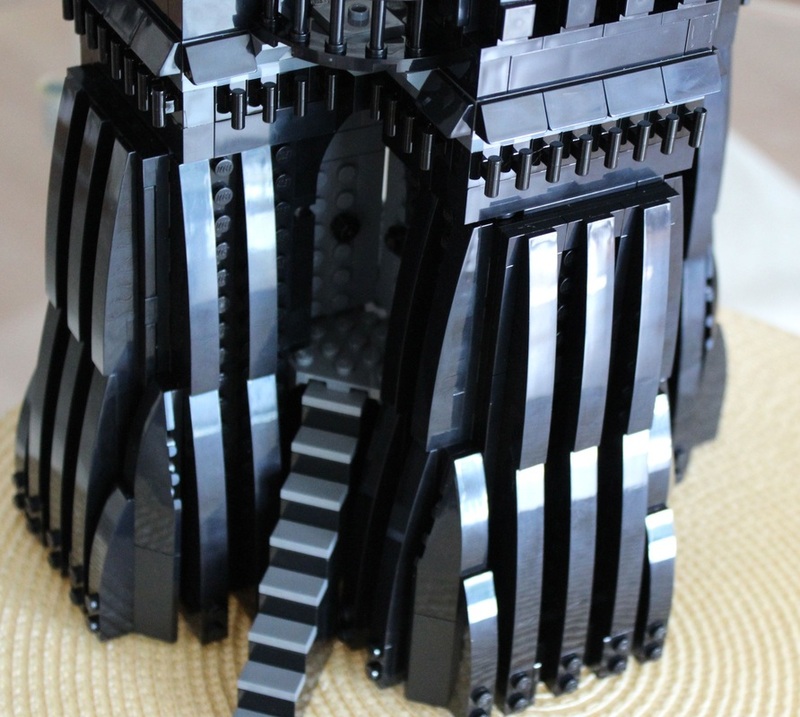 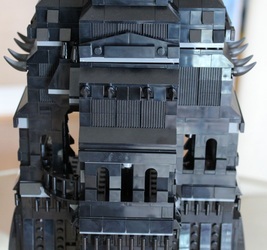 For all these reasons he built a huge black gate in front of the pass that lead to his tower: this gate is made by the same materials of the tower and is guarded by hundreds of soldiers. 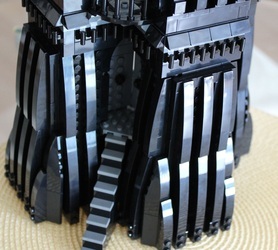 On the left part of the gate there is also a tall tower that is useful to see in advance enemies approaching while they are still miles away. On the very top of the tower lives also a giant eagle that is one of the terrible servants of IA and loves to eat human flesh. LORD MAHLER: he is the leader of the evil spirits of the Wind, one of the most terrible creatures at the service of IA. 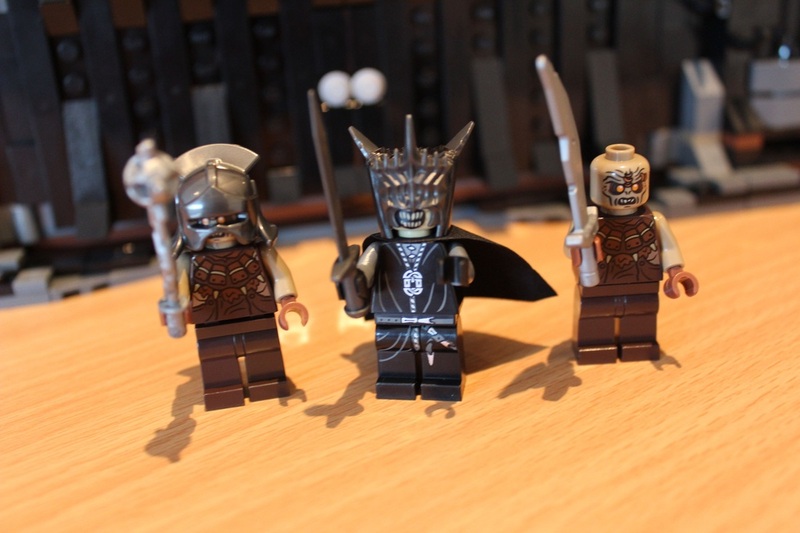 Once he was a king of men, but then betrayed his race and become a loyal servant of the evil in exchange of power and eternal life. 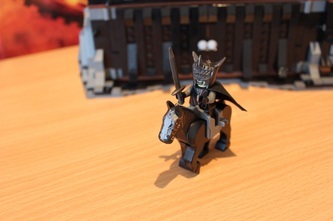 He is not living or dead, fights with his black undead horse and his cursed sword and eats the soul of the enemies. Pros: in the movies it has a minor part, but this vessel is stunning. All the details are accurate and the sails are something unique. Even the minifigs are unique especially the human sailor which is a reproduction of Peter Jackson It will be loved also by the passionate pirate Lego fans. 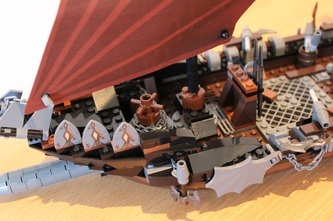 Cons: the interior part of the cabin is not as accurate as the rest of the ship. AI during the War of the Races understood that, if he wanted to win and dominate the world, he had not only to build an invincible army, but also had to control the seas. 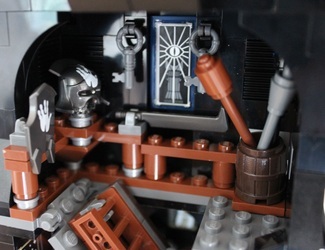 For this reason he built this vessel: this in not a common vessel from any point of view. First of all the crew is composed by an army of undead sailors that cannot be defeated by normal weapons. 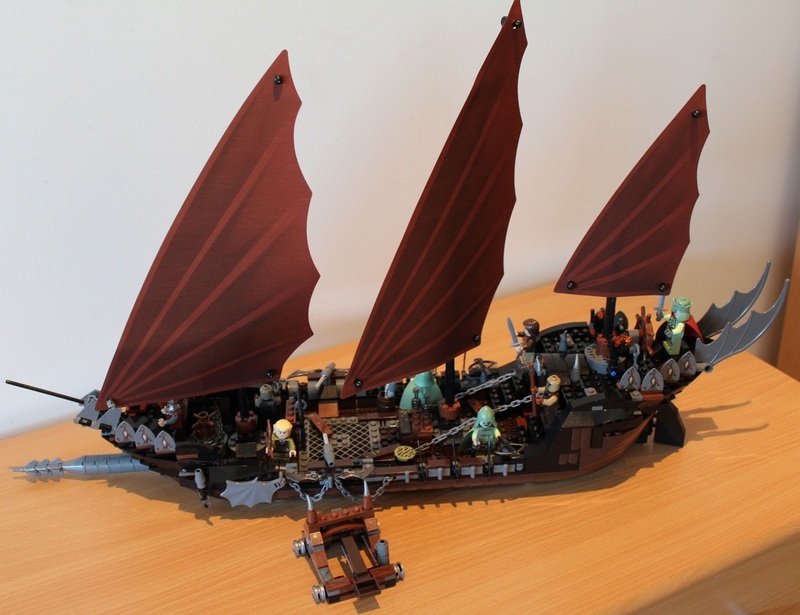 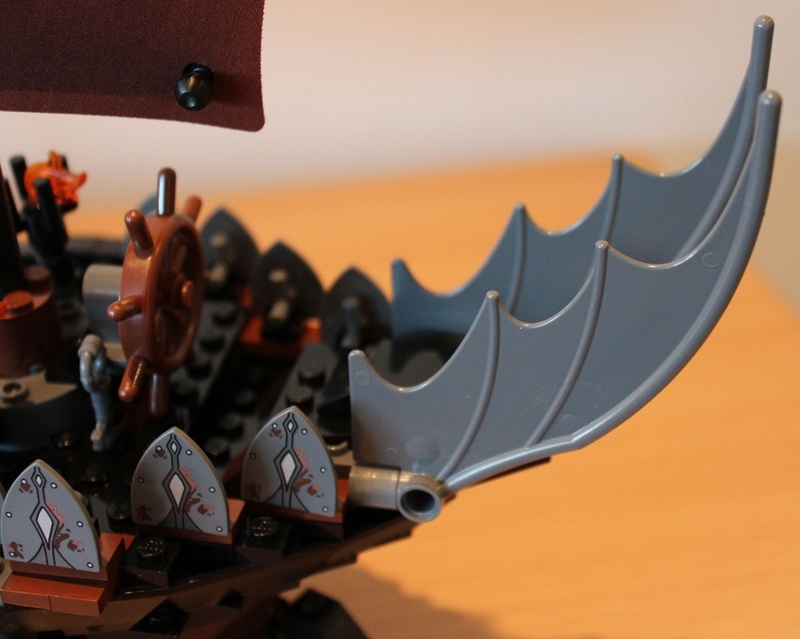 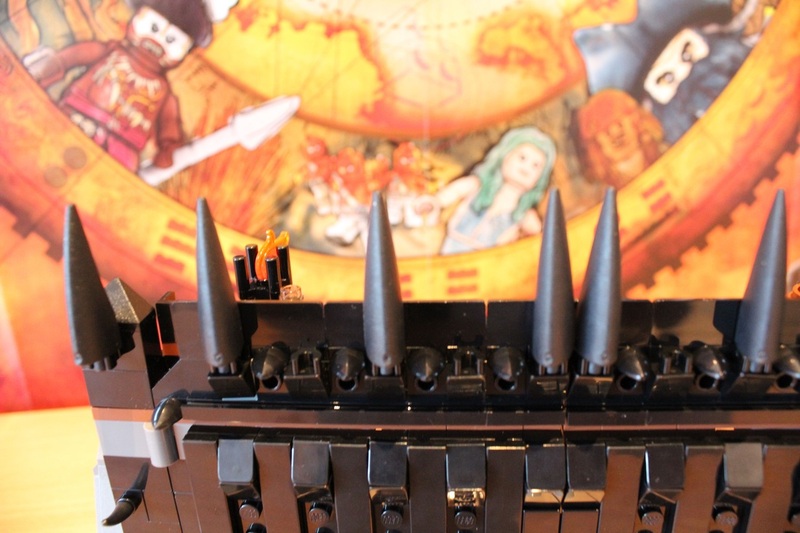 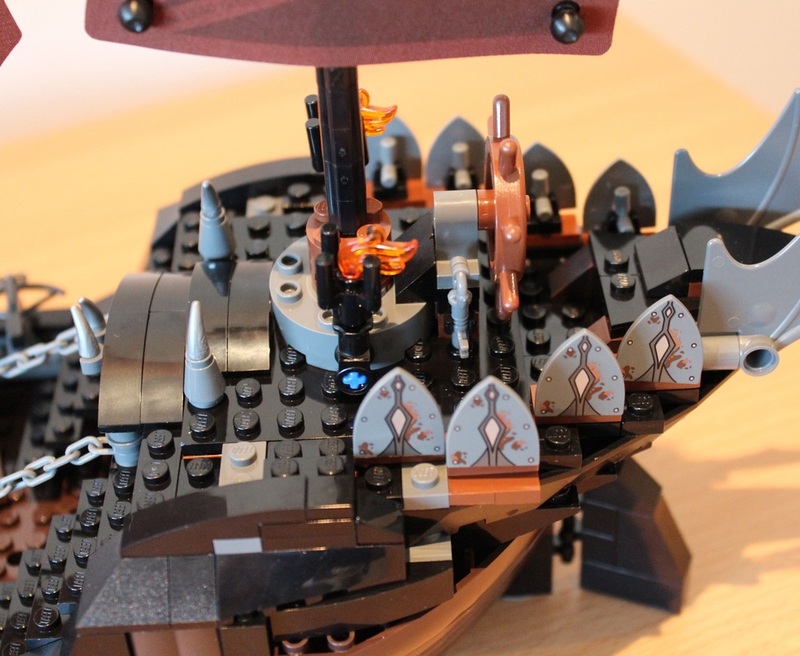 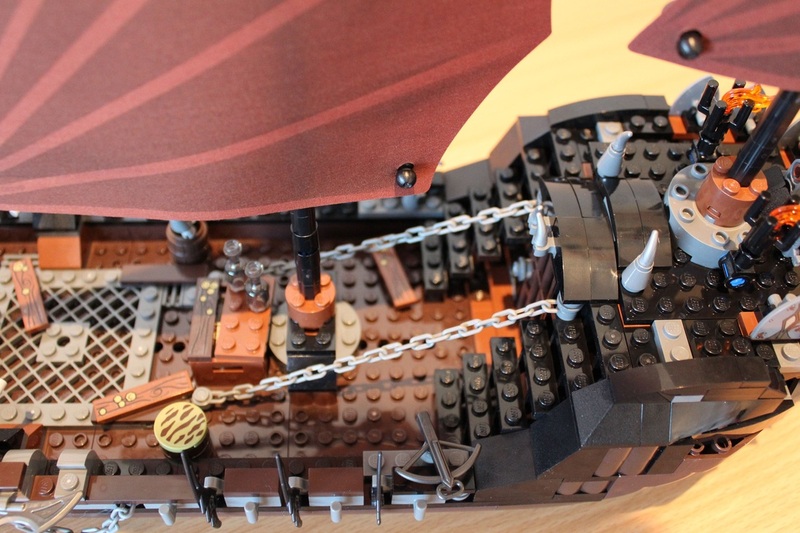 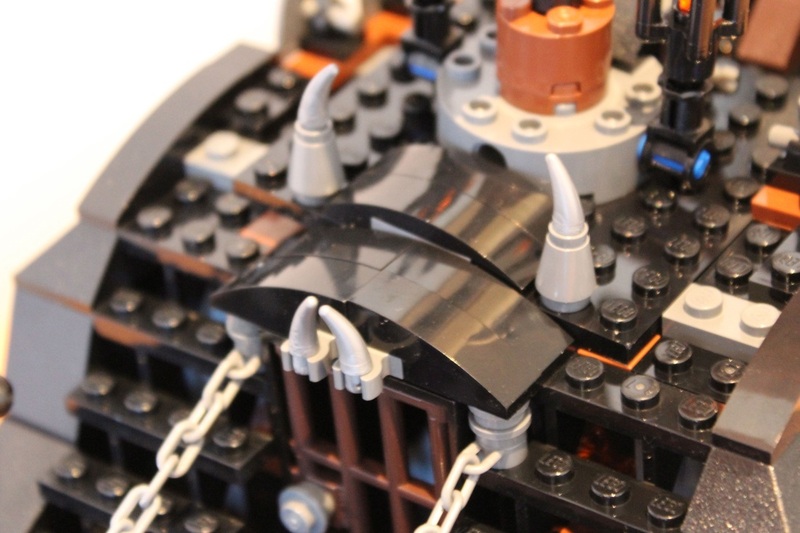 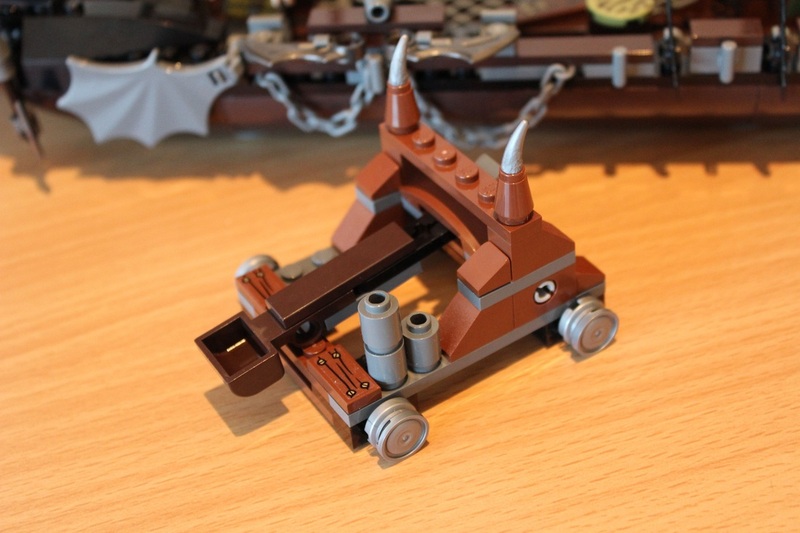 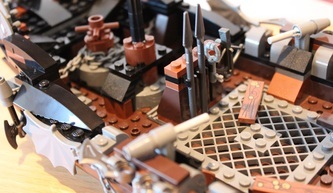 Secondly it is very different from the common structure of pirate vessels: it is lighter and quicker with shields everywhere to protect the wood and metal wings in the back. 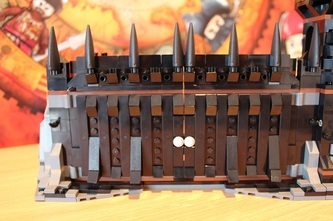 Instead of cannons it has spears and a huge spur in the front. 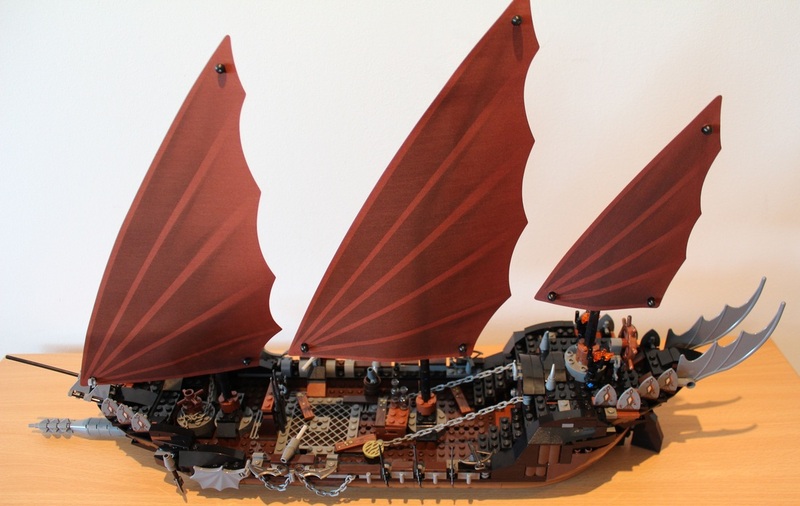 Finally the sails are casted in order to grant a double speed comparing to a traditional vessel. No windows, no kitchen (undead people do not eat) but weapons and spears everywhere: is an agile and deadly vessel built to attack and destroy the enemies. CAPTAIN NEMESIS: he is captain of the ship and the king of the Undead. Like Mahler he was once an elf king but then accepted to be a servant of AI in exchange of the evil power of mind reading (he controls the ship with his mind). 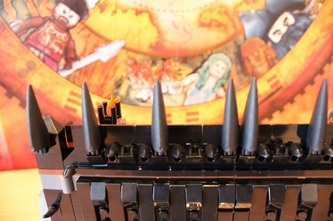 His deadly weapon is a casted sword that has the power to change the enemies into ice statues.